Dungeness crab with an South Eastern Asian flavor! 1. 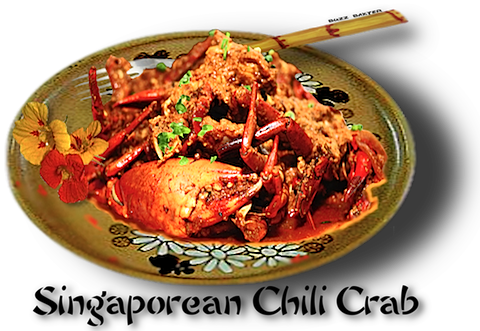 In a casserole or large pot of boiling salted water, add the crabs and cook them for about 1 minute, or until no longer moving. 3. In mortar and pestle or small food processor pound or process chiles, garlic, shallots and ginger with a little oil if necessary. 4. Combine all sauce ingredients. cook for 1 minute. Pour sauce over crabs and garnish with scallions.